Reverend John "Jack" Allen Cahill, Winona Lake, Indiana, age 93, went to be with His Lord and Savior, Jesus Christ, at 11: 24 a.m. on Saturday, March 30, 2019 at Grace Village Health Care. He was born October 5, 1925 in Dubuque, Iowa to Dorothy (Green) Cahill and Frank Cahill. On August 14, 1948 he married Jean (Valentine) Cahill, who survives. John served in the U.S. Navy during WWII aboard the destroyer USS Strong in the Pacific and was honorably discharged in 1946. He was a 1950 graduate of Wheaton College in Wheaton, Illinois and a 1962 graduate of Grace Seminary, Winona Lake. Early in his career, Jack served as a district manager for Kemper Insurance in Roanoke, Virginia. The Lord called Jack into full-time ministry as a result of his Wheaton classmates being martyred by the Auca Indians in Ecuador in 1956. After Seminary, Jack served the Lord in pastorates in Ortonville, Minnesota and Indianapolis, Indiana. Later, he was an administrator, teacher and coach at Heritage Christian School, Indianapolis, and was in sales for Best Locking Systems in Denver, Colorado. He was a member of Grace Chapel in Denver, and attended Winona Lake Grace Brethren Church after he moved to Winona Lake in 2014. He will be lovingly remembered by his wife of 70 years, Jean Cahill, Winona Lake, Indiana; two daughters: Debbie (Dr. Bill) Katip, Warsaw, Indiana; Susie (Randy) Franklin, McKinney, Texas; two sons: Jeff (Laurie) Cahill, Castle Rock, Colorado; Tim (Terri) Cahill, Lansing, Kansas; eighteen grandchildren and one great-grandchild. He was preceded in death by his parents, sister, Peggy Towler, two brothers, Bill and Donald Cahill, and one great-grandson, Aiden William Katip. 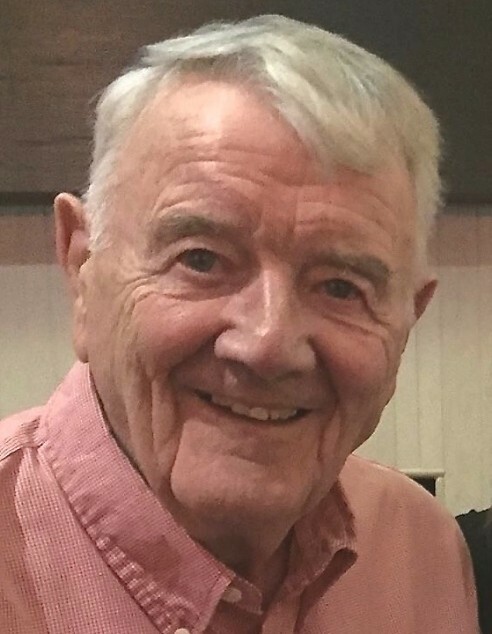 A memorial service celebrating Jack's life will take place at 2:30 p.m. on Thursday, April 4, 2019 at Winona Lake Grace Brethren Church, 1200 Kings Highway, Winona Lake, Indiana officiated by Pastor Bruce Barlow and Chaplain Bryan Benjamin. There will be visitation prior to the service from 1:00 - 2:30 p.m. at the church. On Saturday, April 13, 2019 there will be a memorial service at 2:00 p.m. at Grace Chapel, 8505 S. Valley Hwy, Englewood, Colorado, officiated by Drew Crowell. Following the service, there will be time for visitation and refreshments. Burial will take place with full military rites at Fort Logan National Cemetery, 4400 W. Kenyon Avenue, Denver, Colorado at 10:15 a.m. on Monday, April 15, 2019. Memorial donations may be directed to Grace College, 200 Seminary Drive, Winona Lake, Indiana 46590 designated for the John Cahill Entrepreneurship Fund.